The team at Options Consulting Group is a diverse one, all specialising in different areas of HR and business advisory. We thought it was time for you to get to know us! As principal I’m across business strategy, services development and quality, I am also actively consulting and recruiting. The “key” for me is I love problem solving and facilitating positive outcomes. 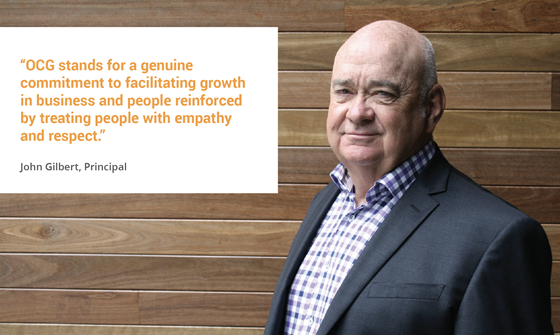 A genuine commitment to facilitating growth in Business and People reinforced by treating people with empathy and respect. We understand the relationship between people and work process, explore the balance between transferrable competencies and job requirements and pay particular attention to aligning personal and business values. Our consulting approach differs significantly from “job matching/position description recruiting” and our “12 month Candidate Care Replacement Guarantee” is unrivalled. The sport/team you follow you support and why you go for them? Australian Football League: Sydney Swans – their excellent club culture has underpinned consistently high performance ever since 1993 when Ron Barassi laid the foundations after accepting the challenge to raise the profile of AFL football in NSW and on a national Level.